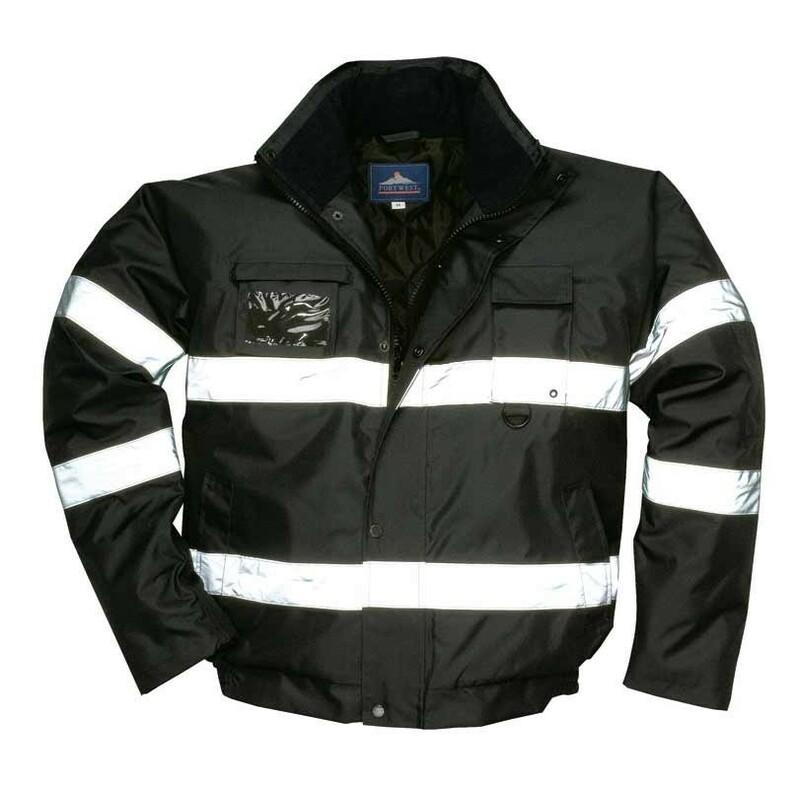 This outstanding waterproof jacket provides visibility whilst keeping you warm and dry. The fleece lined collar and knited cuffs ensure that the heat is trapped inside the garment. The cleverly designed zip-out ID pocked can also be used as an additional pocket for carrying or storing tools and personal belongings. The stylish design boasts a concealed hood and taped waterproof seams.